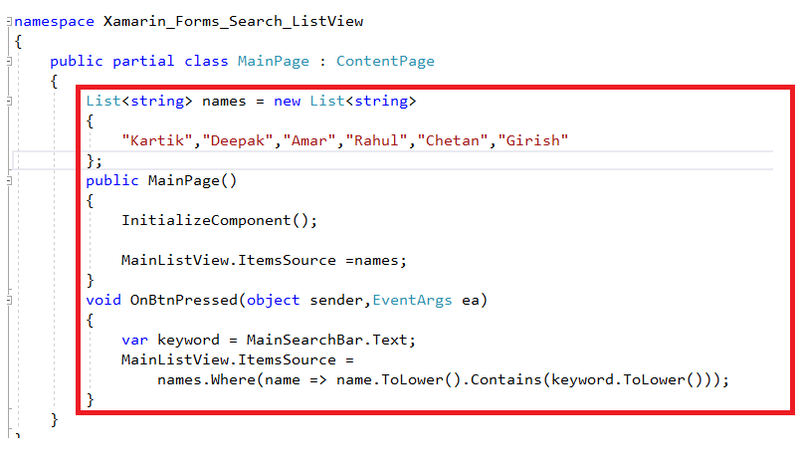 In this article, we will discuss how to create a ListView and how to search a particular search item from the list. 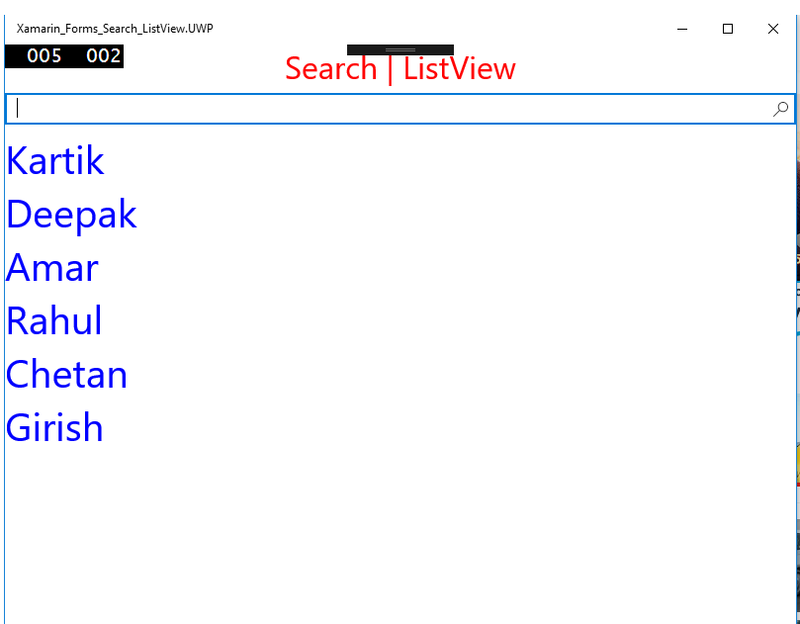 A ListView is used to store the data in the form of Scrollable type.Now, in this article, we will discuss how to create a ListView and how to search a particular search item from the list. 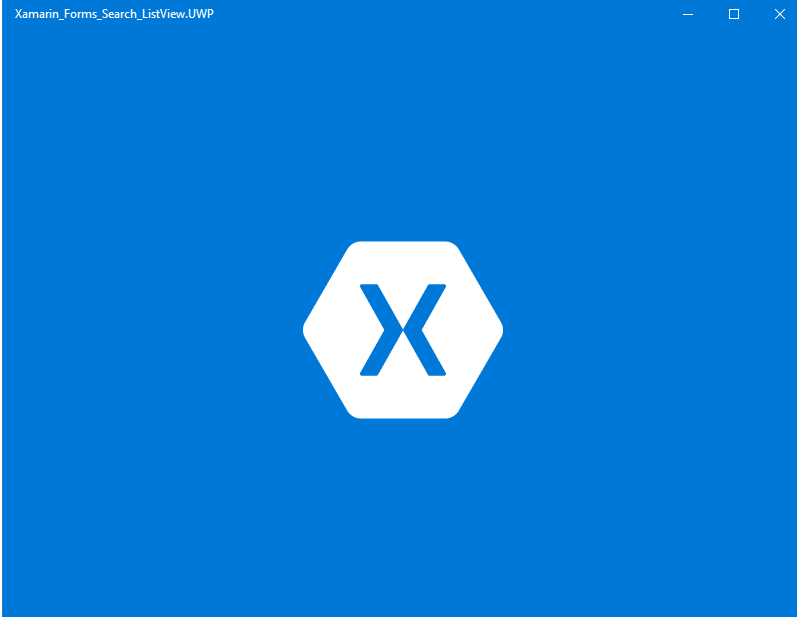 Open Visual Studio 2017 Community Edition then go to File ->New ->Project. 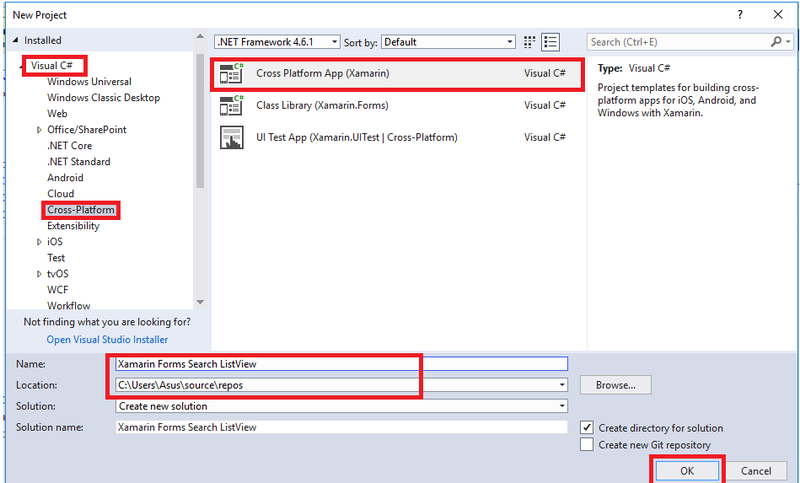 Now, select Visual C#->Cross-Platform->Cross Platform App(Xamarin). 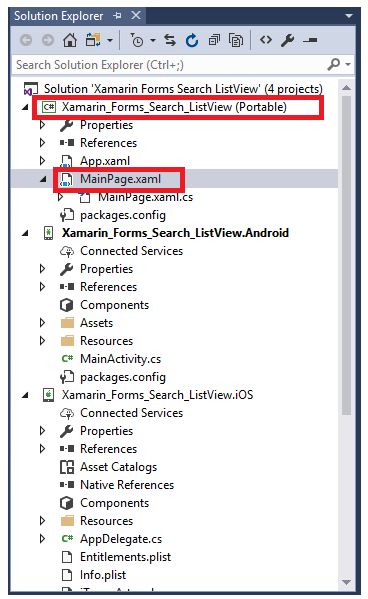 Now, give the name to the project then, select the destination folder (if needed) then click OK.
Now a new window will open. 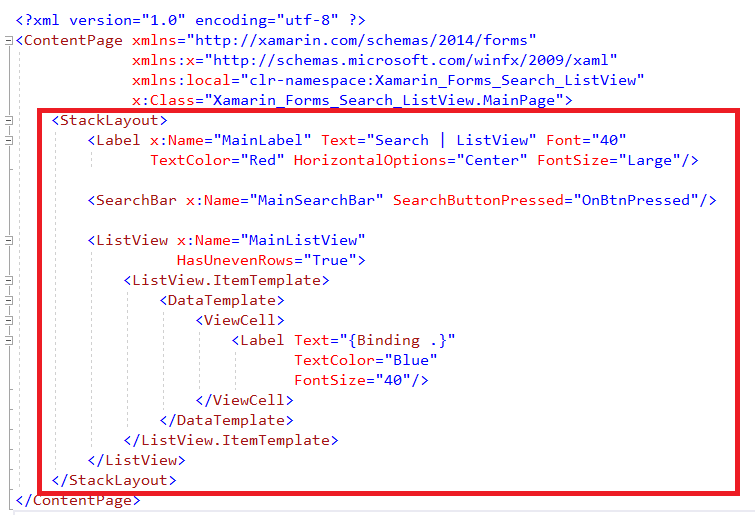 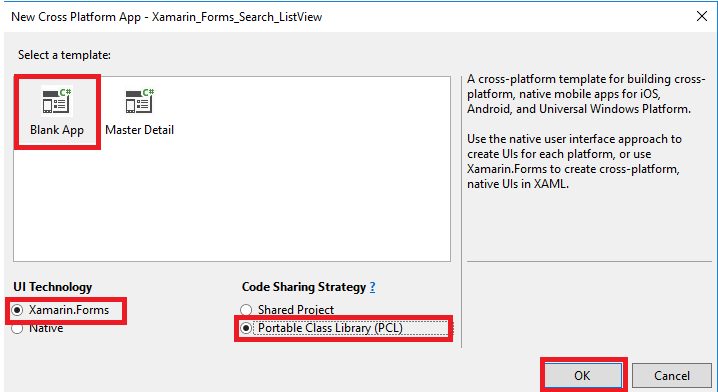 Select Blank App template then, select Xamarin.Forms then, Portable Class Library(PCL) and click OK.
Now, select the Target version and minimum version for UWP and click OK.
After creating the project open Solution Explorer and under Portable select MainPage.xaml. 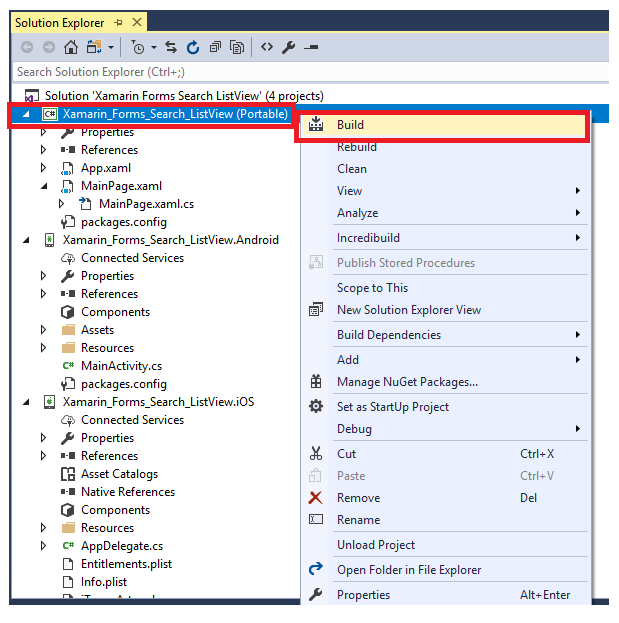 Now build the application by opening Solution Explorer, select Portable, on that right click and select Build. 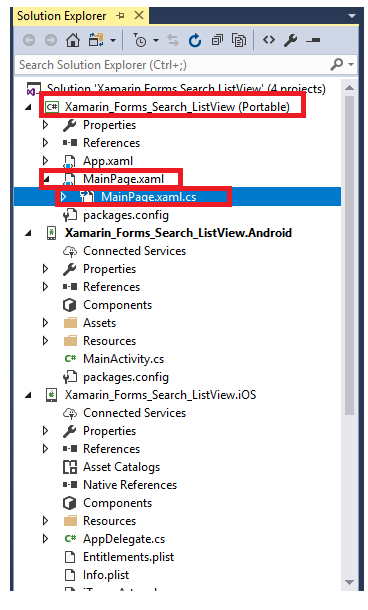 Now, in the start option select UWP and click to start to run the application. 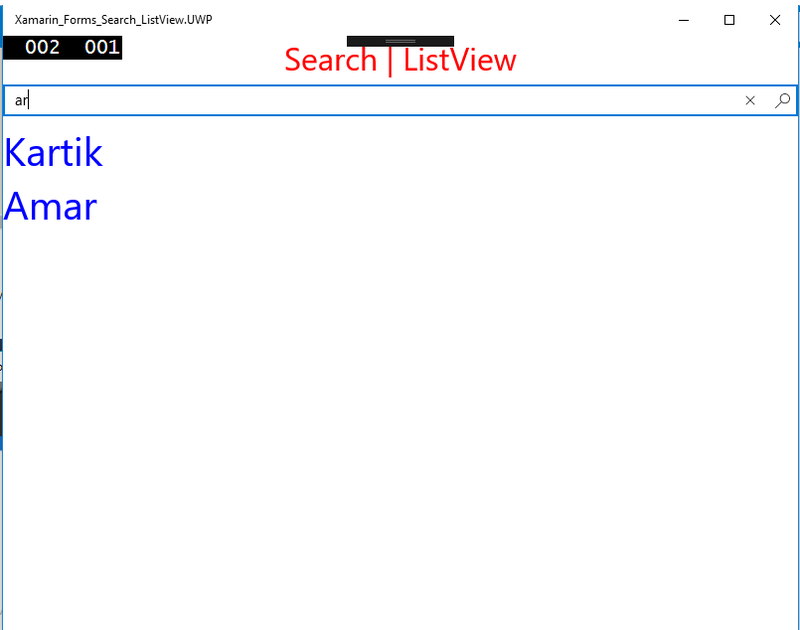 Now, type the name to be searched in the search bar and click the search icon. 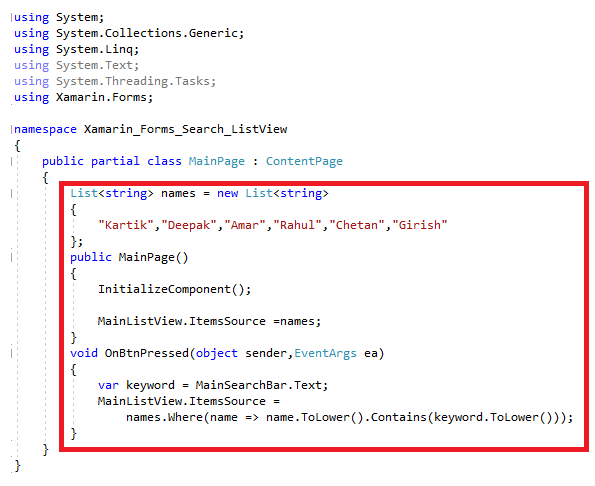 Now, we have successfully created a ListView and searched required items from the list.